Camping out is pretty much one of the best things you can do at Morro Bay, but making the most of the experience is all about know where to go and what to do. Where you’ll want to go camping will depend greatly on a number of factors such as location, price, and whether you plan to go alone or with a group. Below are a couple of ideas you’ll definitely want to look into. The Morro Bay State Park’s camping site is one of the closest to Morro Bay and is found just next to the Morro Bay Golf Course as well as the marina. There are a wide variety of spots there that are great for tents or RVs that span up to 25 and even 35 feet. The place is also very close to a number of hiking and biking campsites. Campers will also have access to the area’s picnic grounds. Finally, there are a number of trails that campers can trek as well as breathtaking views that they can witness. Those who are into camping with their RVs will want to check out the coastal area between Morro Bay and Cayucos, just off Highway 1 on Yerba Buena Street. The ocean front campsite actually looks like a parking lot adjacent to the sand where people can put up their tents. The place can get pretty windy because of the fact that it’s very close to the ocean. The place has restrooms for everyone, but they don’t have hot showers. To get into the campground and access the facilities, campers just need to show their receipt at the Morro Bay State Park. The area has 75 campsites and can accommodate RVs that span up to 25 feet. Visitors must pay a $35 fee to use the park. Reservations can be made online or by calling (800) 444-PARK (7275). Office hours are between 8:00 AM to 6:00 PM. 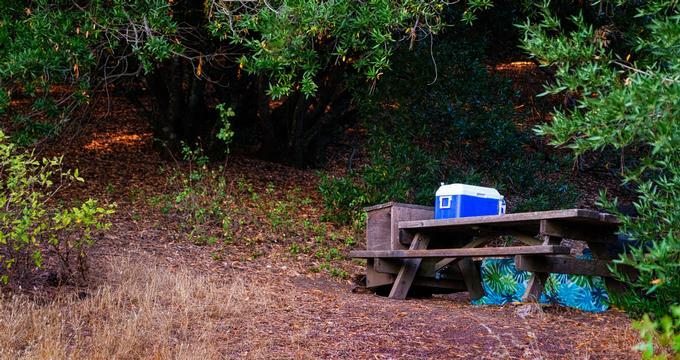 Another interesting campsite near Morro Bay is Montana de Oro State Park’s Islay Creek Campground. It’s near Spooner Cove, by the park headquarters, and is open for reservations during the summer. During the off-season, however, half the site is available on a first come, first served basis. The campgrounds have 47 standard sites for tents or RVs that span up to 27 feet. All sites have accessible restrooms. There are also four environmental campsites and three sites for groups with horses. There are also picnic tables, food storage lockers, and fire pits available. Campers only need to show their receipt at the Morro Bay State Park to get into the camping grounds and use the facilities. Islay Creek Camp is quite close to Spooner’s Cove and a few hiking trails. You can bring your dog on the beach so long as they’re leashed, but you can’t bring them on park trails. There are two group horse sites that people can look at in Morro Bay. Each of these two sites can accommodate 50 campers and up to 20 vehicles. Unlike the other sites, however, these ones only have pit toilets and don’t have potable water. The only catch here is that you need to get a minimum of seven horses, with additional horses costing up to $25 per night and up to a max of 25 horses. There’s a water supply there that’s exclusively for horses. Regular campers with horses can choose between three regular campsites, with each one having up to eight people and four vehicles max. Each camper must have at least one horse and each additional horse would be $2 each per night. Just like the other horse campsites, these ones also have pit toilets only and supply water for horses only. Meanwhile, campers will have to bring their own supply of drinking water and haul out their own garbage. Those who want to enjoy a bit more hiking, there are environmental campsites that people can hike to. There’s a parking place about 100 yards away from the campsite. You’ll want to hike when there’s still sunlight, though, as the paths can be hard to navigate in the dark. Each of these hike-in sites can accommodate up to eight people. The campsites have pit toilets and don’t have water supply. Two out of the four campsites are closer to the horse group sites while the other two offer more isolation. - Remember that rates may change from time to time, so it’s better to call up the park management for the updated rates. Whether you’re going alone or with a group of friends (or horses), camping at Morro Bay can be such a worthwhile activity when accompanied with the right preparation. Keep in mind that the campsites mentioned above are not the only campsites in Morro Bay, but these ones should give you a good list to start with.